Darren Aronofsky's divisive new psychological thriller explained. Director Darren Aronofsky, most famous for 'Black Swan' and 'Requiem for a Dream', has succeeded in making a film that is twice as mind-boggling as both combined, written in five days, no less. 'Mother! ', starring Jennifer Lawrence, Javier Bardem, Ed Harris and Michelle Pfeiffer, has received polar reviews from both the critics and the public. The film's promotional materials remain vague as far as plot goes, with the official storyline being: "A couple's relationship is tested when uninvited guests arrive at their home, disrupting their tranquil existence." The trailer showcases the movie as a mere home-invasion style thriller. 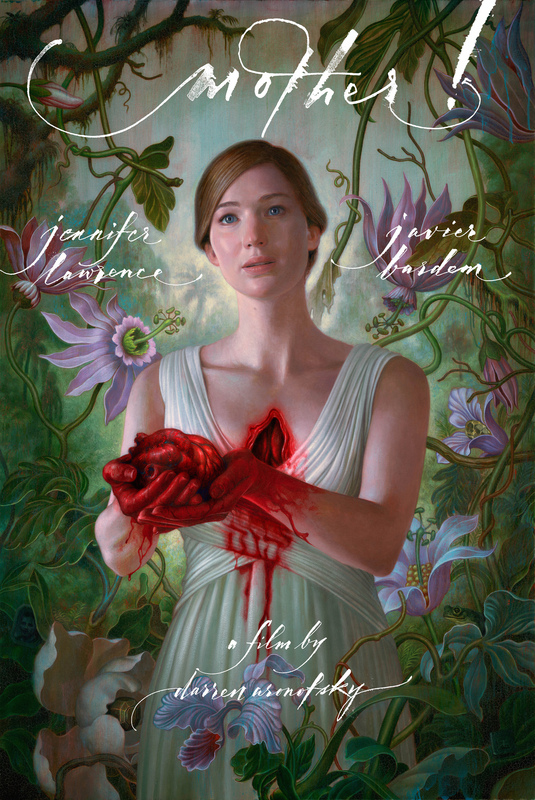 Aronofsky and Lawrence have had contrasting views on the promotional strategy of the film, with Aronofsky intent on keeping the content a mystery, while Lawrence has insisted that it would do it great justice to provide the audience with some idea of its complex symbolism beforehand. Having received no such information before going to see the film, I can attest to the difficulty of grasping the film's precise meaning during the screening. At face value, 'Mother!' comes across as a home-invasion horror flick, gradually building up to the utter chaos of the second act (including a couple of "what the hell is going on" moments), commenting mainly on gender roles within relationships and fame. After walking out of the theater, the film felt like an unnecessarily horrifying film that ultimately deemed quite confusing, but following a few days of self-reflection and research, it became rather difficult not to consider it a complex masterpiece. To create a better viewing experience, I share a similar opinion to Jennifer Lawrence; a few things do require an explanation. Darren Aronofsky and Jennifer Lawrence have mentioned in multiple interviews while promoting 'Mother!' that the most significant allegories of the film are environmental and biblical. For the duration of the film, the audience does not become acquainted with names of the characters. According to IMDB and the film's end credits, Javier Bardem plays 'Him' (i.e., God), Jennifer Lawrence plays Mother Earth, Ed Harris and Michelle Pfeiffer play Adam and Eve, and the Gleeson brothers play Cain and Abel. And the plot itself is set in the Garden of Eden. In a recent New York Times interview, Lawrence explains, "The film takes place on the biblical sixth day, and follows that timeline. You have the creation of people, you have the creation of religion itself, people reading the same writing and arguing over its meaning, false idols." Through strong biblical references to the Book of Genesis, Darren Aronofsky comments on climate change and the horrors we put the environment and our planet through on a daily basis. Interestingly, these were the two intended allegories of the film according to the director; however, viewers have taken on various other interpretations of the film's intentions, like for instance gender roles, false idols, fame, and feminism. Aronofsky has expressed that as long as the film produces a reaction, whether good or bad - he's ultimately done his job. The film, which came out following the blockbuster 'IT', hasn't performed so well in the box-office. It has divided critics and received polarizing reviews, with some praising it and hailing it as a masterpiece and others referring to it as a "pretentious mess". Some even reacted with shock and horror at the strong biblical references featured in the film. After watching the film and understanding its complex meaning, I would without hesitation encourage people to see it. Prepared or not, this movie is worth exploring, as it has the power to make your head spin, while at the same time challenge you to consider the current state of affairs and our general treatment of the world.